Note: DKA recruitment week is here! Click here for info! As much as DeKAs love the Oscars, we know that the Academy often nominates some… questionable films. In turn, deserving films are often completely shut out, leaving their creators to hope for Oscar gold next year. Here are five CineJournal writers on this year’s biggest Oscar snubs. Want to know the biggest travesty of this year’s Academy Awards? Eighth Grade wasn’t nominated for a single award. This film, one of the most honest and pure stories of the year, also featured one of the year’s best performances: Elsie Fisher as the anxious Kayla Day. For her incredible performance, she was nominated for a Golden Globe, but unfortunately, the Academy seems to have passed over a brilliant leading performance simply because it was from a young person. The Academy also has a long standing trend of passing over films which lean towards comedy, but just because a film has funny moments doesn’t mean it can’t be Best Picture material. Lastly, and most importantly, the Academy snubbed Bo Burnham. It’s rare for a filmmaker’s first film to be so relevant and powerful, especially if the filmmaker is crossing over from a different medium. Following last year’s success of Jordan Peele’s Get Out, it feels like the Academy thought “Well, we nominated a film from a comedian last year, so we shouldn’t do that again.” In reality, this was one of the best-crafted films of the year, in both writing and directing. Other important groups have been giving the film the credit it deserves. The Directors Guild just awarded Bo the award for Best First-Time Director, and both Indiewire and Sundance put Eighth Grade up for their top prizes. 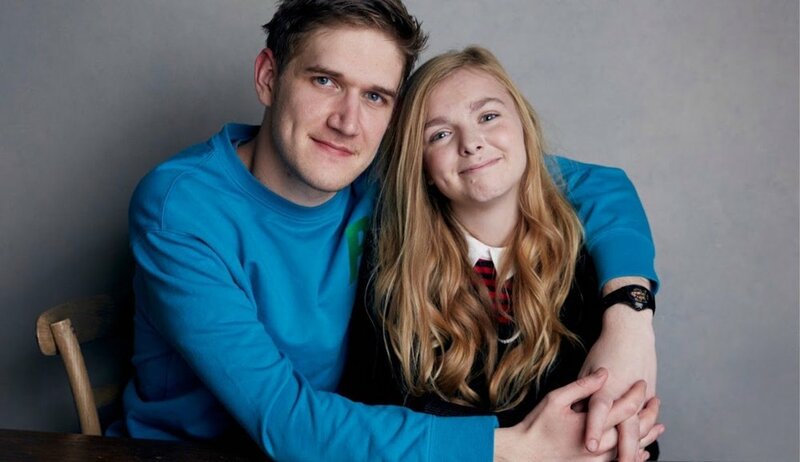 Eighth Grade was snubbed simply because it tells a story that isn’t about adults. An authentic, funny film about being unpopular in middle school is something that many of us can relate to, except for, evidently, the Academy. The first Paddington was a family-fun romp about a kindly bear in London, based on a series of British children’s books. In 2014, the film was a fresh surprise for critics and audiences alike. Its sequel, last year’s Paddington 2, improves upon its already modest predecessor, and is currently the highest rated film in the history of the Rotten Tomatoes aggregate rating system. It magnificently blends comedic, adventurous, and musical elements with charming visuals, a well-tailored script, and a villainously campy turn from Hugh Grant. These combined elements make Paddington 2 well-deserving of a Best Picture nomination (or, at the very least, a Supporting Actor nod for Grant and a Best Adapted Screenplay nod for Paul King and Simon Barnaby). Perhaps there are those who might argue for Hereditary snubs, with Toni Colette’s terror-inducing performance and its nightmarish visuals, or A Quiet Place snubs, with its unique soundscape and a stunning debut for John Krasinski as a director. However, in the opinion of this humble moviegoer, the world we live in could use more warmth; more British talking bears and more ensemble musical numbers; more cheerful color palettes and more happy endings; and more films like Paddington 2 nominated for Best Picture. Chloe Zhao’s sophomore film, The Rider, is widely regarded as one of the most underrated films of the year. Werner Herzog praised the film, saying “Just when you think cinema is entering a phase of stagnation, out of nowhere, comes a film like that. It’s very encouraging.” After its breakout success at Cannes Film Festival, the film was picked up by Sony Pictures Classics to wide audience praise. It made a meager $3.4 million box office, but was a financial and critical success. Zhao brought a crew of five people with her to South Dakota two years after meeting star Brandy Jandreau. After Jandreau went through a life altering experience, Zhao made an almost documentary film, intimately capturing the day to day life of the South Dakotan resident, his family and friends. Much like 2016’s Oscar winner for Best Picture, Moonlight, The Rider made a very modest initial box office and was universally praised for showing an under-represented slice of American life. Though Brady’s struggle is very particular to his geographic and socio-economic situation, the film is universally likable and relatable. Its nominations for several key Independent Spirit Awards, including Best Feature, Best Director, Best Cinematography and Best Editing, made it seem like it would pick up attention at the Oscars. Unfortunately, due to its April release date and small marketing campaign, the film was mostly forgotten. Sony Pictures Classics either had low expectations for The Rider and didn’t want to spend money on an Oscar campaign, or it simply wasn’t the kind of film the Academy wanted. This is unfortunate, as the film landed on countless top 10 lists for best film of the year, including the National Board of Review’s, and it still deserves wider recognition. In the history of the Oscars, there has never been a snub as terrible as that of Eighth Grade, Bo Burnham’s triumphant directorial debut. Upon release, fans of Burnham and A24, along with kids and adults of all ages, flocked to the theaters to relive their harrowing middle school years - and they loved it. With a whopping 99% on Rotten Tomatoes, this film is no stranger to praise, and yet, not a single Oscar nomination. The real crime against this film is in the category of Best Screenplay. Independent films don’t usually get the recognition they deserve at the larger awards shows, and this shows in the lack of a screenplay nomination, because the Eighth Grade screenplay is on par with, if not significantly better, than any other script nominated. Burnham has created a film that is relatable to people from all walks of life, no matter where they grew up or what their eighth grade experience was like. To pretend like everyone wasn’t suffering an infinite pubescent agony at that age would be wrong, and Burnham captured this perfectly. Eighth Grade is laugh-out-loud funny in its moments of awkwardness, but it also allows you to reminisce about those moments and, most importantly, to laugh at yourself. The script has many heartfelt moments about family and adolescence, with intelligence in its delivery and in the way it allows characters to connect to each other. Bo Burnham’s script was impeccable, and is the ultimate snub at this year’s Oscars. Ethan Hawke was equally deserving of a Best Actor nomination for his intense performance as the morally conflicted priest, Rev. Ernst Toller. In the hands of a lesser actor, the character’s beliefs could have felt contradictory with traits like his alcoholism and his willingness to take action against climate change. Instead, Ethan Hawke took all these aspects of the character and fully committed to exploring every angle of his twisted psyche. As he goes from a pastor seeking spiritual solutions to a radical with nothing left to lose, the audience doesn’t miss a beat of his evolution. Hawke’s performance is simply phenomenal, and will live on in the minds of First Reformed‘s audience long after this year’s Oscars.